My name is Sean Koopmans, and I come from a very fresh aired city called Edmonton. It is just a few hours east of the Rocky Mountains in the heart of Alberta, Canada. After I finished my schooling, I wanted to go on an adventure, and discover more of the world. In 2002 I made the move to Beijing. As an ESL teacher in the first few years that I was in China, I always noticed how poor everyone’s performance was in a classroom (including my own), or another room which had several students when the windows were closed and the air conditioning was on (or no circulation for that matter). This is because in most buildings even today in China, the air is simply recirculated in each room with no fresh air intake. My rule at the time was to open all the windows so there was not too much CO2, which of course makes us sleepy. As soon as there was outside air, the classrooms transformed. Learning was taking place again. It made my job so much easier; the CO2 levels were lowered to acceptable levels and the students and I had energy and focus! It was during my time teaching, that my wife became pregnant with our first daughter. I really started to become health conscious. I got into better nutrition, for my wife as she was carrying our baby and myself. It started to bother me though that the air we were breathing was not optimal. I have years of experience working on HVAC systems in Canada. 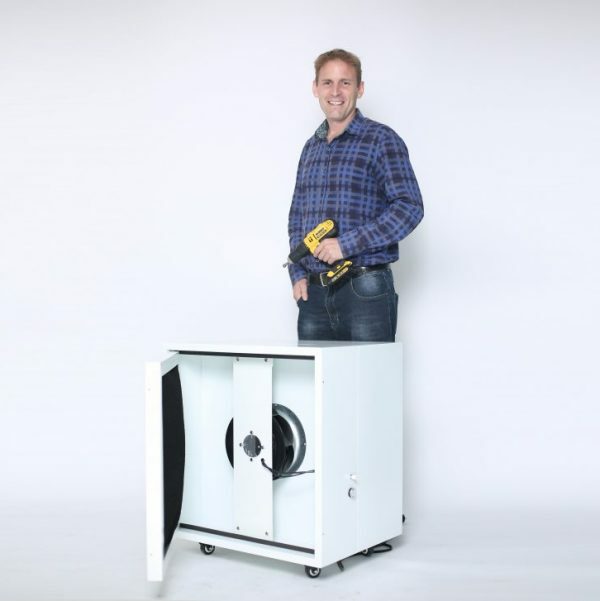 I knew that simply recirculating air in a room would become quite stale and is not healthy. This is why I did not purchase one of these units like many foreigners did here at the time. Instead, I bought a special fan, made a housing for it, and a purchased a suitable filter. It can make the air in my 127m2 apartment from 200 micrograms per cubic meter to zero within 45 minutes. To maintain the pm2.5 at zero, Airmazing Model III only requires 50 watts of power for my space of 127m2!